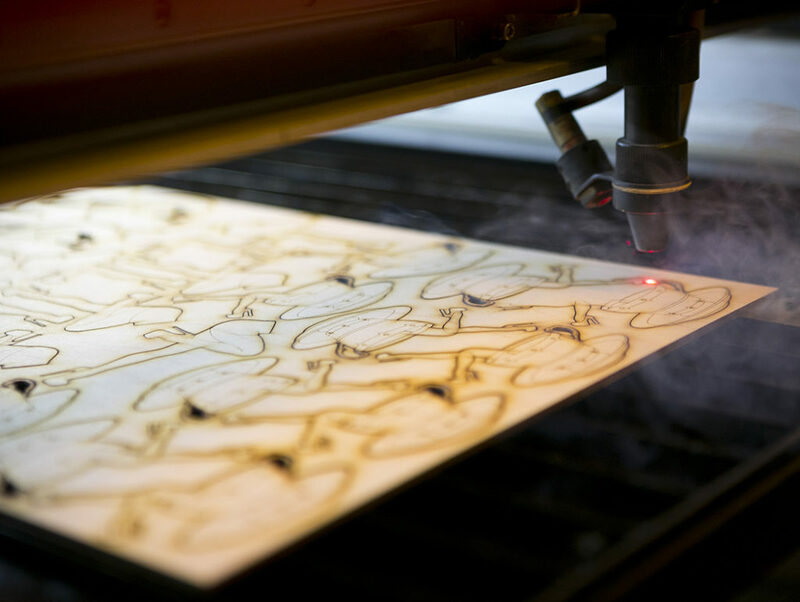 The laser and the CNC Router can cut a wide variety of materials in a range of thicknesses. Below is a list of the most common. If the material you are looking for isn’t here, do not fear, drop us an email and we will let you know what is possible. Unfortunately we cannot cut metal on any machine and we cannot cut anything containing Chlorine (PVC) on the laser machines. Like MDF, these are affordable materials to use on the laser cutter. They are quick to cut, easy to stick together due to their porous nature and take paint and colour well. Greyboard cuts with a very sooty edge, so may end up smudged, whereas corrugated card and mountboard are a lot cleaner. We stock 1.4mm mountboard in a few commonly used colours but can order in a wide variety of colours in A1 size, 2mm Corrugated Cardboard in A1 and 1mm and 2mm Greyboard in A1 and A2 size. 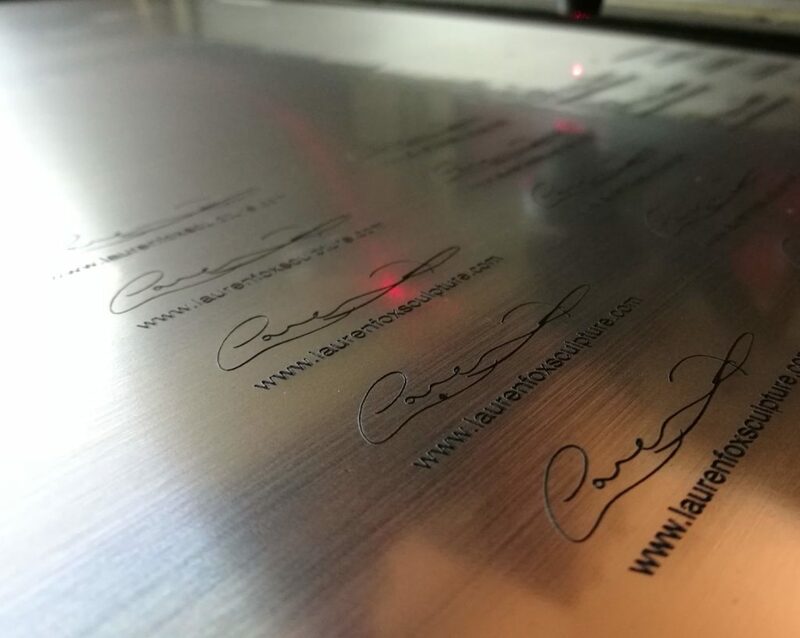 Engraving laminates are a two-ply Acrylic Composite plastic, which allow you to engrave through the top layer to reveal the colour underneath. This is very effective for signage and branding. We stock a small variety of commonly used colours in house in 2mm thickness, but we are able to order in a wider variety of colours and thicknesses. Wood is a beautiful, natural material to cut and engrave on the laser machine. The maximum thickness that we can cut through depends on the density and how hard the material is. 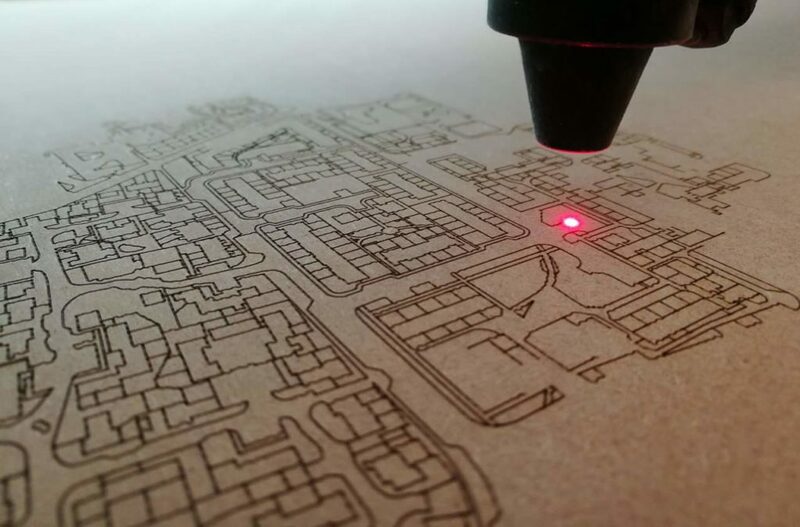 Laser plywood is affordable and easy to cut. We stock poplar laser plywood, which is lighter in colour and weight than most standard plywoods. The adhesives used in it are specially designed to be used with the laser and leave a lighter and cleaner edge on cut and engravings. We stock this in 3mm, 6mm and 9mm thickness. We can also use a denser Birch Laser Plywood up to 6mm in thickness and up to our maximum laser bed size of 1200x900mm. We can order this in for you with a few days notice. We stock and cut high quality Birch Plywood on the CNC in 12mm and 18mm thickness and can order in a wider range of thicknesses and qualities. 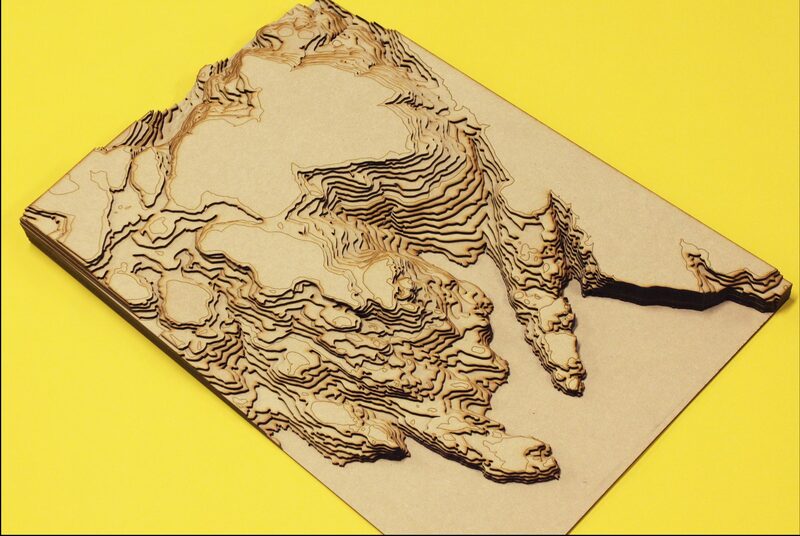 Paper & Card can give an astounding amount of detail with the laser machine. 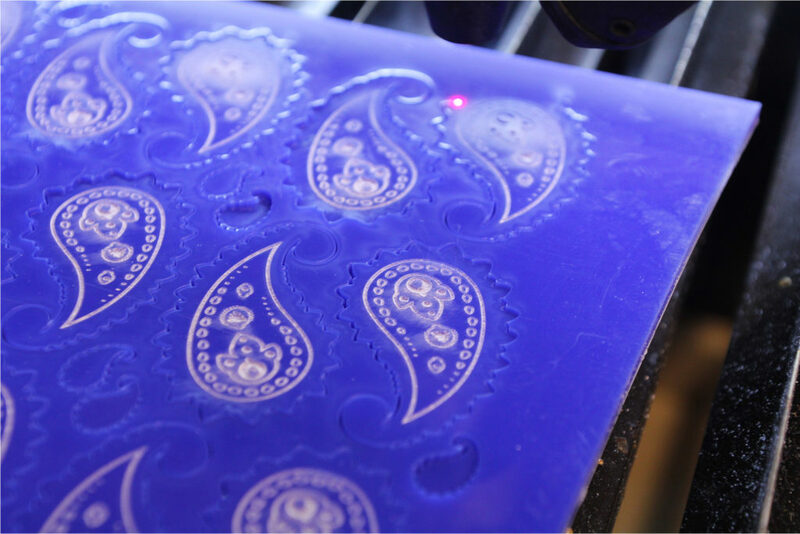 We have a huge amount of experience and have perfected the settings of the laser machine to allow minimal charring and burning of these delicate materials with intricate designs. We do not stock paper or card in house, as the requirements often differ from job to job. We have built up a network of brilliant suppliers who we can call upon for your specific needs. 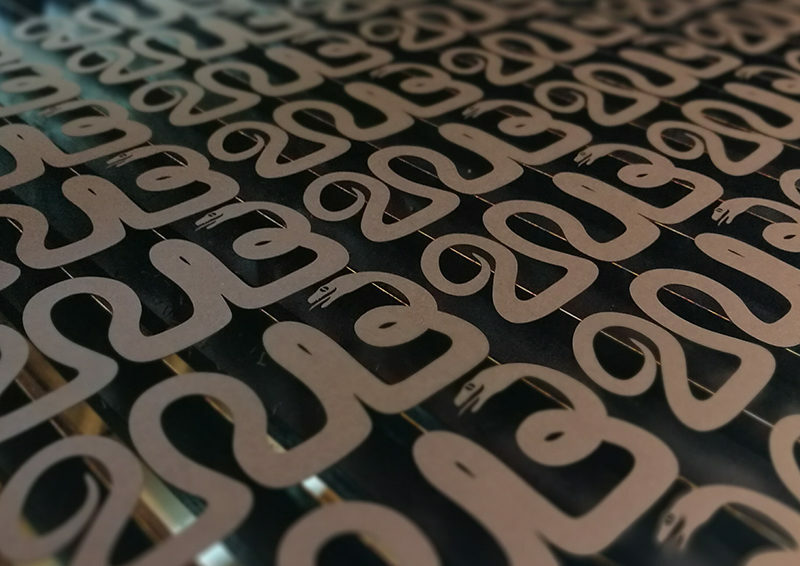 We can also combine laser cutting with print, for instance custom wedding invitations, Christmas or greetings cards, using either your own printer or our trusted suppliers. Vinyl is cut exclusively on our vinyl plotter due to it’s chlorine content. The self adhesive sheet material comes in 600mm and 1200mm widths in a huge variety of colours. 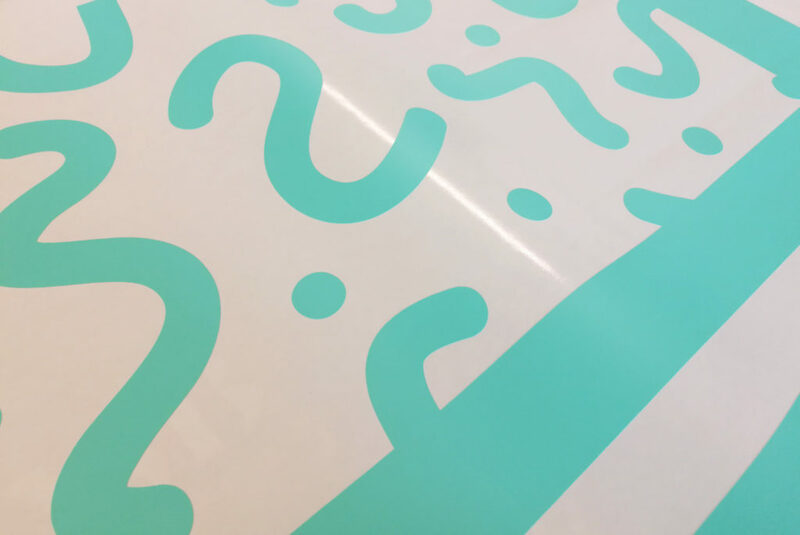 It comes on a backing sheet and the plotter cuts only through the vinyl and leaves the backing sheet in place, so your designs stay in the correct positions relative to each other. We then weed the material not required, the centre of the letters, rest of the sheet, etc, and then use application tape, like giant masking tape, to aid the application onto the wall, window, floor or object. As standard we stock matte white, black and grey 508, but can order in a wide range of colours, please email and we will send you a swatch card. MDF is a very affordable material to use on the laser machine. We stock a special type of MDF which cuts quickly and cleanly on the laser machine, in both 2mm and 3mm in 600x900mm sheets. 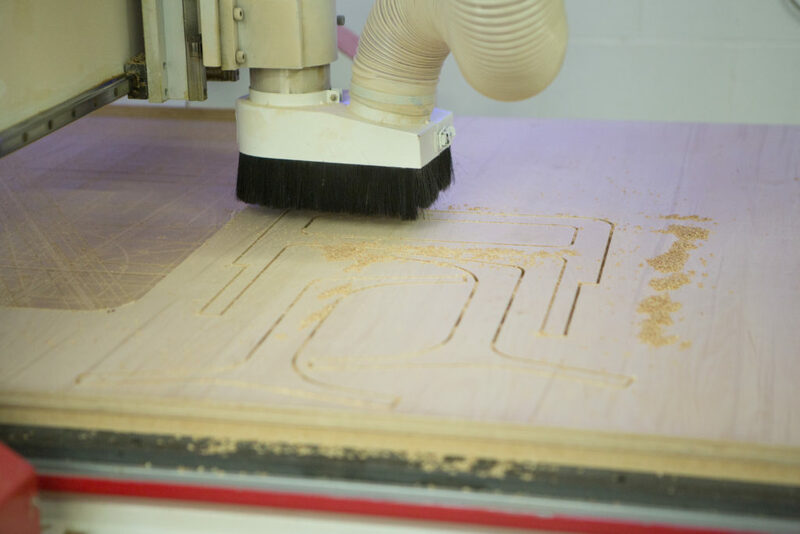 We can also order in and cut up to 6mm on the laser machine, but we do recommend thinking about using the CNC router as it may be quicker for MDF thicker than 6mm. We stock up to 25mm thickness. MDF can be glued together very easily using standard PVA glue and it takes spray paint very well.